Capture the grace of Grandparents Day. 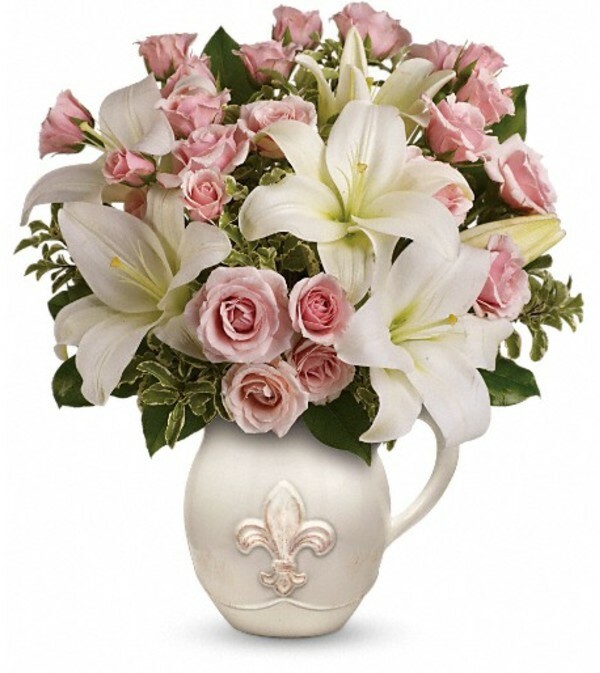 Charming pink roses and fresh white asiatic lilies are nestled in our classic Fleur-de-Love Pitcher. A fleur-de-lis motif gives a classic flair to this pitcher - the newest addition to our French Country Collection. 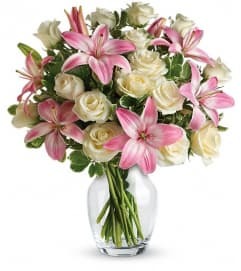 This bouquet boasts a beautiful display of light pink roses, and soft white asiatic lilies, accented with lemon leaves and pitta negra. 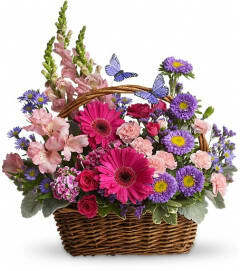 Delivered in a handcrafted ceramic French country pitcher.